Severe inherited neurodegenerative diseases where curative treatment will serve the high unmet medical need. Our initial focus is on severe inherited retinal diseases for which there are no currently approved or satisfactory treatments. Our goal is to provide patients with long-lasting treatment that leverages our cutting-edge expertise in combining a gene therapy-based approach with our proprietary technology platforms of mitochondrial targeting sequence, or MTS, and optogenetics. 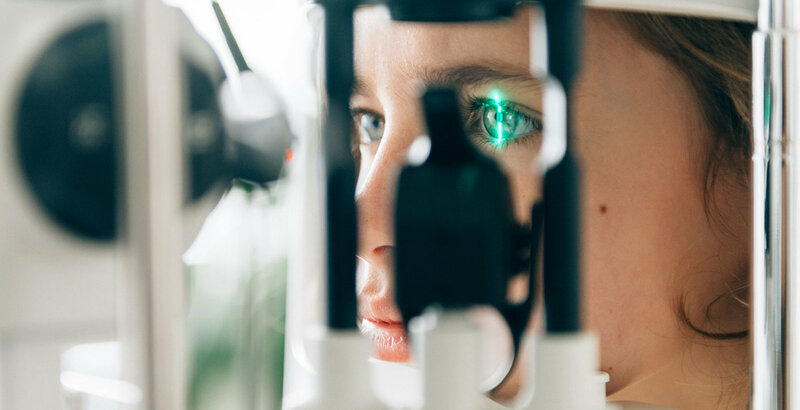 Our two lead product candidates are being developed to treat two sight-threatening rare diseases: Leber Hereditary Optic Neuropathy (LHON) and Retinitis Pigmentosa (RP). In the future, we anticipate investigating the ability of one candidate to treat Geographic Atrophy in Dry-AMD. LHON is caused by defects in mitochondrial genes encoding for proteins called NADH dehydrogenase. 95% of LHON cases are due to mutations in the mitochondrial genes ND1, ND4 and ND6, which encode proteins of the respiratory chain Complex I, an important component of energy production within the mitochondrion and therefore the cell. The ND4 mutation is responsible for the majority of LHON cases, representing around 70% in Europe and North America and 80 to 85% in Asia. Although the genetic defect is present throughout the body, LHON symptoms are almost uniquely limited to retinal ganglion cells, or RGCs, located on the surface of the retina. These cells receive visual information from photoreceptors and transmit it to the brain. However, genetic mutation in the mitochondrial genes ND1, ND4 and ND6 disrupt Complex I, starving the RGCs of energy and making them no longer able to transmit signals to the brain. The patient turns blind. Onset of vision loss due to LHON typically occurs between 15 and 35 years of age. Vision loss often occurs in a sequential fashion where one eye is affected first, followed by the second eye on average two months later. The dramatic loss of vision experienced by LHON patients is life-changing and affects patients and their families socially, emotionally, and financially. LHON severely curtails patients’ ability to perform day-to-day activities, significantly reduces their autonomy, and alters their life choices. Retinitis Pigmentosa (RP) is the leading cause of hereditary blindness in developed countries, with a prevalence of about 1.5 million people throughout the world. In Europe and the United States, about 350,000 to 400,000 patients suffer from RP, and every year between 15,000 and 20,000 new patients become affected by vision loss due to RP. There is currently no cure for RP, and it is considered a rare and orphan disease in the United States and Europe. RP actually represents a group of related genetic eye disorders that clinically manifest in both non-syndromic forms involving isolated visual disability, as well as syndromic forms involving other organs or tissues (such as Usher Disease or Bardet-Biedl syndrome, which manifests both in the retina and in the cochlea of the ear). The mutations that cause RP are heterogeneous and include recessive, dominant, and X-linked forms of more than 60 genes affecting a variety of cell functions. Syndromic forms of RP are equally heterogeneous. RP is characterized by progressive vision loss. Initially, rod photoreceptors degenerate, causing the loss of peripheral vision. This is then followed by degeneration of cone photoreceptors, which results in the loss of central vision. The first symptom of RP is usually difficulty with night vision, which can occur as early as childhood. The disease progresses over a period of years or even decades, and ultimately leads to blindness. Some patients become blind as early as age 30; the majority of patients become legally blind before the age of 60. Although Retinitis Pigmentosa (RP) and Age-Related Macular Degeneration (AMD) have very different origins, both diseases are characterized by degeneration of the photoreceptor cells of the retina. There is currently no cure for either condition. AMD is a degenerative disorder driven by genetic and environmental factors. The disease specifically affects the macula, i.e. the central retina, sparing the peripheral retina. Thus, peripheral visual field is usually preserved even in the late stages of the disease. But while the retention of peripheral vision allows the patient to maintain some degree of autonomy, the loss of central vision has a significant impact on day-to-day activities such as reading, facial recognition and tasks requiring attention to intricate details. Visit www.clinicaltrials.gov and search for “GenSight Biologics” to learn more about our ongoing clinical trials listed below.